State health officials and researchers found 88 different contaminants including lead, arsenic, uranium and coliform bacteria in Nevada’s drinking water supply, and 14 substances were detected at levels above recommended EPA safety limits. A recent report in USA Today shows that 23 Nevada public water systems are not compliant with safety standards for contaminants. Public records from the Nevada Department of Environmental Protection show that three state public water systems exceed recommended safety levels for contaminants including lead, uranium, arsenic, and coliform bacteria. The three state water systems posing the most harm exceed the EPA’s recommended safety level for lead, which is 15 parts per billion. All three water systems are under investigation for unsafe drinking water that is supplied to the public. Goodsprings School – Located in Clark County, the Goodsprings water system showed lead levels of 16 parts per billion. Fort Churchill Power Plant – Located in Lyon County, the Fort Churchill Power Plant water system showed lead levels of 16 parts per billion. Marigold Mine Potable Water System – Located in Humboldt County, the Marigold Mine Water System shows lead levels of 50 parts per billion, the highest lead levels in the entire state of Nevada. All three water systems provide drinking water and bottled water to the public. Water system officials have been notified of unsafe drinking water and ordered to return the water supply back to levels of safety compliance or face further action. Although Washoe County’s water supply did not show evidence of unsafe lead levels during testing, there were unsafe levels of other contaminants found in Washoe County water systems. Mount Rose Bowl Homeowners Association – Testing showed unsafe levels of copper at 4.35 milligrams per liter in the drinking water. Safe levels for copper are 1.3 milligrams per liter. 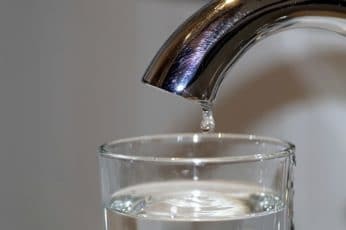 Silver Knolls Mutual Water Company – Testing showed unsafe levels of arsenic at 11 parts per billion in the drinking water. Safe levels for arsenic are 10 parts per billion. This water system is one of 10 out of 580 state water systems that tested positive for unsafe arsenic levels. Rosemount Water Company – Testing showed unsafe levels of uranium at 69 milligrams per liter in the drinking water. Safe levels for uranium are 30 micrograms per liter. This water system is the only one in the state that tested positive for unsafe uranium levels. The nation’s water supply is monitored by government regulating agencies like the Environmental Protection Agency (EPA). The EPA monitors all public water systems throughout the country and enforces strict regulations to ensure safe drinking water in all states. Studies done between 2013 and 2015 show that 1,400 water systems serving 3.7 million Americans have exceeded the lead safety standard for drinking water at least once. Water systems that supply drinking water to the public are required to perform regular testing to check for unsafe contaminant levels and fix them to comply with EPA safety standards. Public drinking water sources are vulnerable to contamination, so proper treatment is required to remove contaminants that can cause harm. Contamination of drinking water can occur at the source or in the water distribution system, even after water treatment has been performed. Many things can contaminate water sources, including chemical and minerals that occur naturally such as arsenic, uranium, and radon, as well as chemical contaminants that come from the use of farm feeding operations, manufacturing processes, fertilizers, and pesticides. The release of wastewater that occurs from sewer overflows also contaminates water supplies. The health effects of drinking contaminated water can range from mild symptoms to serious illness and death. There are many factors that affect the risks of contaminated drinking water on a person’s health. These include the person’s general health, age, type of contaminate, the amount of contaminant consumed, and the length of time consumption occurs. Some health effects of drinking contaminated water such as nausea, vomiting, cramps, diarrhea, and gastrointestinal problems are usually immediate, but more serious effects may not be noticed for years. Chronic effects typically occur when a person consumes a contaminant at unsafe levels for many years. Drinking water contaminants that can have the worst chronic effects are chemicals and minerals. Chronic effects of drinking water contaminants include reproductive problems, liver and kidney disease, and cancer. The EPA sets safety standards for more than 80 contaminants that can pose human health risks if they are found in drinking water. These EPA standards are set to protect public health and safety. Although all people are at risk, elderly people, small children, and people with compromised immune systems are especially vulnerable to injury, illness, and disease from contaminated drinking water. When contamination is discovered, local water suppliers are required to alert the public as soon as possible through the mail and other media sources.